Lovely and feminine, these earrings feature eight rounds of brilliant diamond stones to create an eye-catching centered cluster shape. 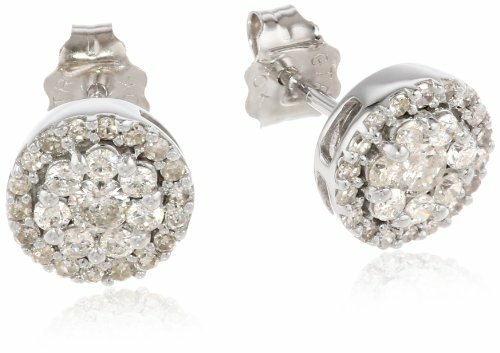 The cluster is surrounded by a trim of smaller round diamonds that add to the pair’s total weight of 1/2 carat.These stud earrings are the perfect accessory for any fancy occasion. Eight rounds of brilliant diamond stones create an eye-catching centered cluster shape. 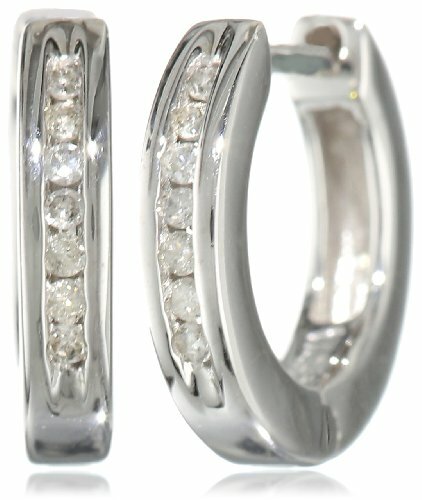 The cluster is surrounded by a trim of smaller round diamonds that add to the pair’s 1/2 cttw. The 10k Gold Diamond Heart Pendant makes an ideal Valentine’s or birthday gift for someone you admire and love. 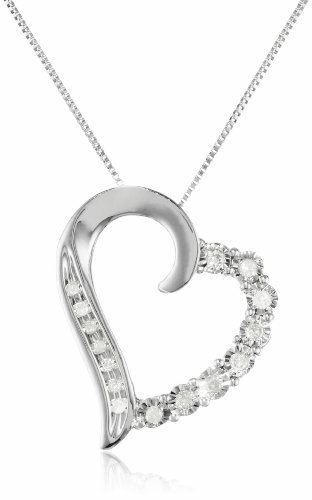 Made from rich 10k white gold, the heart pendant measures .78 inches high and .71 inches wide. 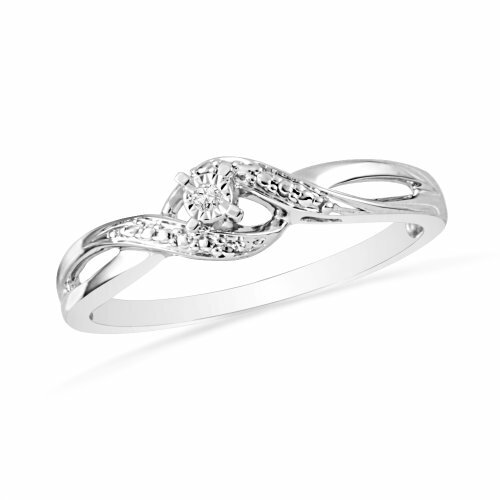 The heart is cut in an asymmetrical design in which one half is lined with round white diamonds in four-prong settings. 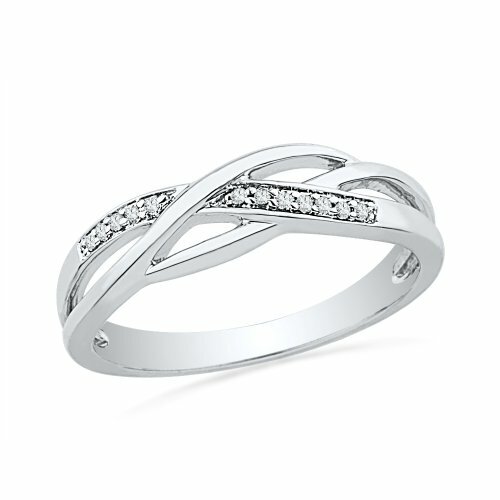 The other half features smooth gold accented with tiny matching diamonds at the bottom. 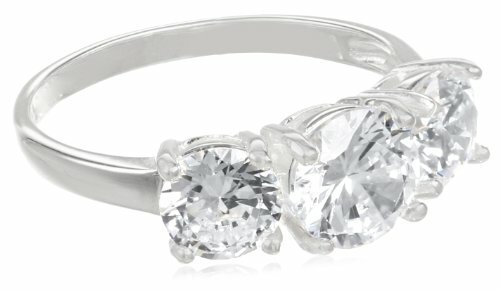 The diamonds boast IJ color and I1-I2 clarity for a total of .1 carats. 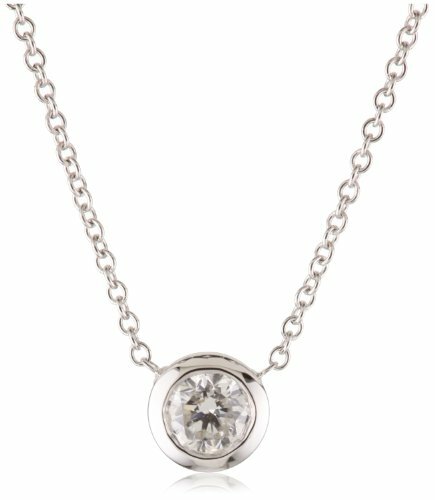 Hanging from an 18-inch white gold box chain, the pendant has an open center to give it a lightweight look and feel. The chain closes with a spring-ring clasp, making it an easy accessory to slip on and wear all day or all evening long. A polished open heart shape supports a display of three colorful stones, to create this classic accessory design. Choose from sterling silver, white, yellow or rose gold, supporting rounded blue sapphire, pink sapphire, black or white diamond stones. Exquisite sophistication around your wrist. This stunning tennis bracelet showcases gorgeous diamonds set into a feminine creation of dazzle, sparkle and beauty. 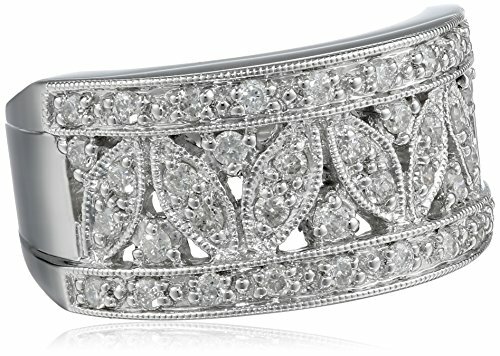 The elegance of a diamond bracelet is sought after by all, worn casually or formally, this is one piece you will adore. 1 Ct. tw diamond 14K Gold “S” Link Tennis Bracelet (1.00 ctw, J-K, I2-I3). 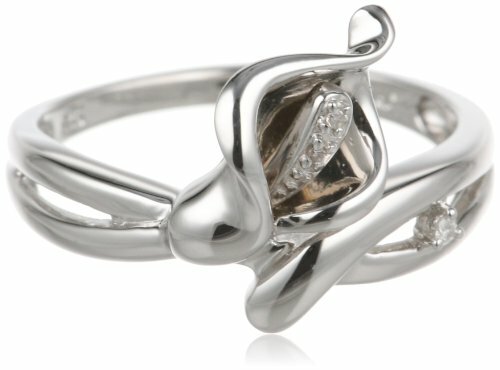 The essence of CZ by Kenneth Jay Lane’s Traditional collection is to infuse designer details into classic CZ jewelry styling. This set of pear-shaped dangles exudes trend design elements, quality manufacturing and timeless beauty. Have a little faith in yourself and your ability to match luxurious timeless pieces with seasonal wardrobe trends. The KC Designs “Faithfully Yours” Diamond 14K White Gold Baby Cross Pendant sits elegantly at your neckline. 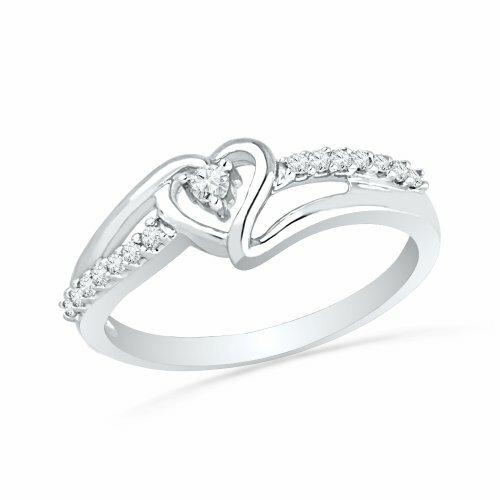 The diamond-encrusted look and classic design is inspired by both trends and historical style. We believe that diamonds go with everything so infuse a bit of passion and faith into your everyday style by pairing this necklace with your wardrobe staples. This beautiful Kobelli Diamond Fashion Pendant will sweep you away with thoughts of a lifetime full of love, happiness, family, and friends. A brilliant 14k white gold pendant with a circle-shaped eternity design cradles natural white diamonds with exceptional clarity. Hanging from a 16-inch cable link chain with a spring-ring clasp, this necklace will sit at your collarbone, making it ideal for pairing with a V-neck or scoop neck top. Add this special pendant to your collection to help you create memories that will last for years to come. Fall for this elegant and charming Kobelli Small Diamond Heart Shaped Pendant. A 16-inch rope chain with a spring-ring clasp holds a tiny sparkling heart-shaped 14k white gold pendant. The center shines with a natural white diamond of exceptional quality. This versatile necklace can be paired with a causal tee and jeans or a flirty dress and heels, making it perfect for an everyday signature piece. Slip this necklace around your neck and let your romantic side blossom. An instant classic, this Kobelli Round Diamond Solitaire Pendant packs dramatic impact into a small package. A 16-inch cable chain with a spring-ring clasp holds a sparkling 0.33-carat clear white diamond in a 14k white gold thick bezel setting. 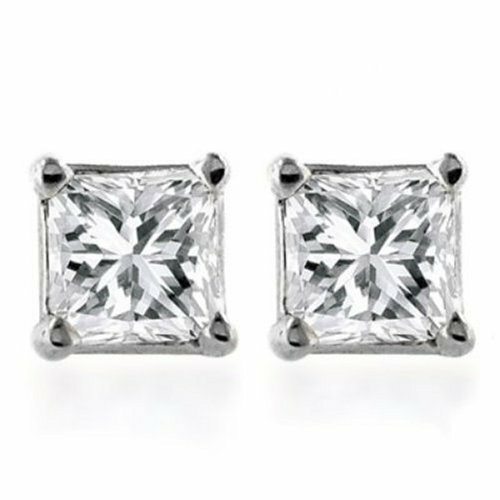 The diamond is cut to show off its exceptional quality and brilliant shine. This versatile necklace can be paired with a causal tee and jeans or a fun dress and heels, making it perfect for an everyday signature piece.